The annual process and performance management priorities and challenges results are in! Most of the process challenges are substantively the same as 2018. The emphasis on business process management and continuous improvement continues. At a more granular level people are prioritizing evergreen challenges around change, culture, and business siloes. Impactful Change. Process work, whether it’s tied to broad organizational initiatives or discrete process improvements, requires people change how they execute work. Hence, it’s not surprising that “overcoming organizational resistance” is persistent year after year. To further complicate our jobs, organizations tend to either provide minimal change management support for improvement efforts or they take a “check-the-box” approach that emphasize: milestones, new process or technology training, and communication plans. What organizations continue to overlook are that change is not a one-size-fits-all formula. Instead it often requires peer-led engagement, building in the time people need to internalize change, and management of the psychological and emotional roadblocks to drive behavioral change—cause without shifting behaviors, change typically isn’t sustainable. Business Siloes. Next to resistance the biggest impediment to effective continuous improvement efforts are business siloes. Business silos focus on individual, team, or functional objectives without understanding how this supports organizational objectives and what similar or related initiatives are running in parallel around the company. Furthermore, this directly impedes sustainable improvements, technology adoption, and global capabilities. Hence its exciting that for the last two year’s organizations—while still struggling with challenges around starting points, buy-in, and governance in particular—indicate they are working on end-to-end processes. While most of the process management challenges remained the same, there were substantive differences regarding the performance management challenges, namely the resurgence of an old favorite. So, what’s newish? Interest in data and analytics has come back with a vengeance. Measurement Basics. A theme throughout this year’s survey is the drive to get organizations’ data house in order. In addition to general investments in analytics and data management, organizations also struggle with identifying the right mix of measures. The decision around the right measures ultimately impacts the organization’s data management—what data to collect, its accessibility, and its cleanliness. Data-Driven Organization. Though data and analytics is nothing new the survey respondents indicate they still have a long way to go. Namely organizations continue to focus on establishing analytics capabilities, understanding how they will use advanced analytics, and embedding in data-driven decision making throughout the organization. Overall the needs of process and performance management professionals remain relatively constant—need for change management skills, growth of end-to-end processes, and integration of data and analytics into their work. The main differences seem to be around the pervasiveness of change—it’s the new normal—and the context of their work—supporting digital efforts. Check out the full survey summary report. 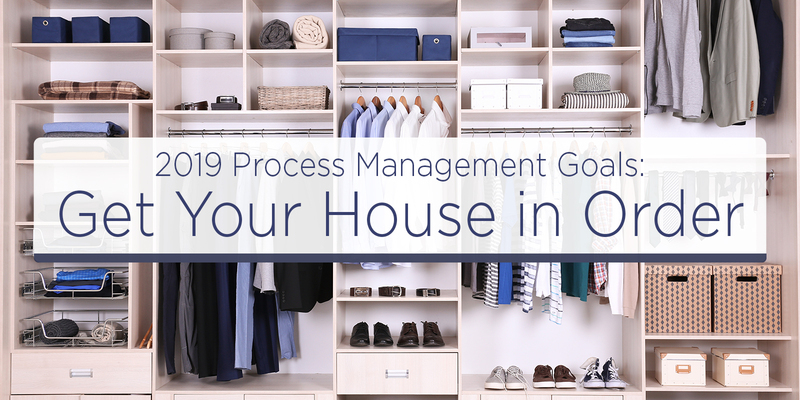 The report includes additional details and tips for addressing the challenges in—business process management, continuous improvement, process frameworks, data and analytics, measurement, strategic planning and benchmarking. As well as the state of digital transformation efforts: drivers, challenges, role of process and performance management teams, and desired skillsets. For more process and performance management research and insights, follow me on twitter at @hlykehogland or connect with me on LinkedIn.